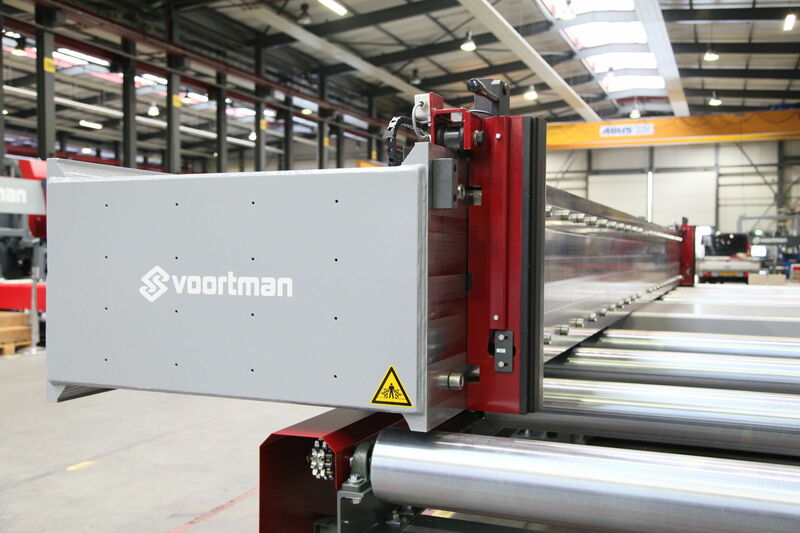 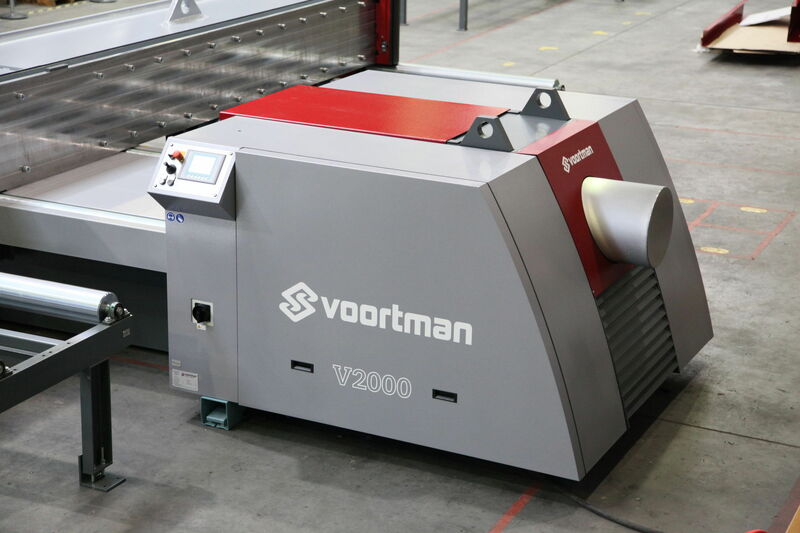 Voortman V2000 series beam cambering machine is made out of heavy steel, which directly offers a robust, compact, durable design. It is made for cambering and straightening processes for various beam sizes. 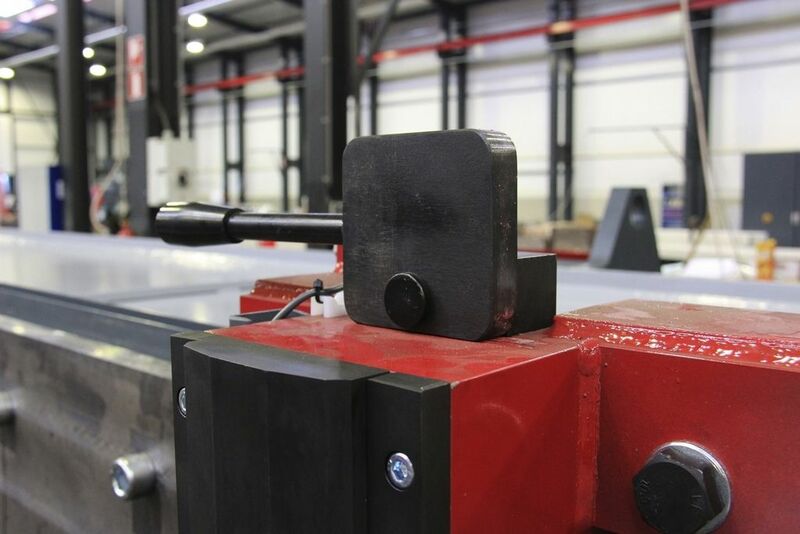 It features a frame-mounted heavy duty reaction beam and a hydraulic horizontal cylinder with pusher. 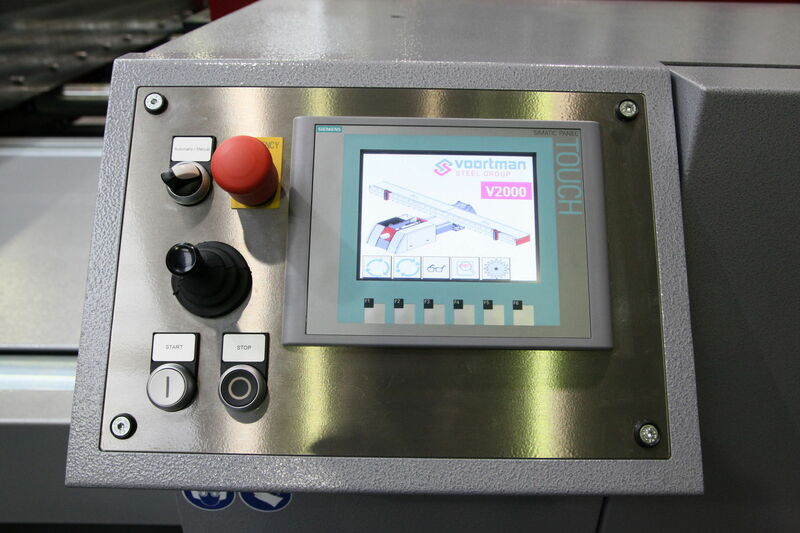 The V2000 contains an integrated protected PLC computer system with a user-friendly touch panel, for command and control. 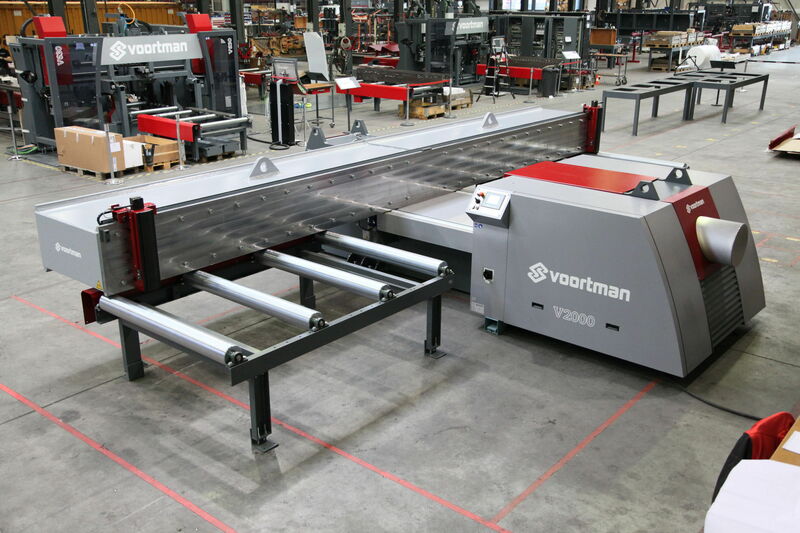 The V2000 also has 2 motor driven rolls, with adjustable speeds, depending on beam size and type.